Top 3rd Floor with a private 12' Southern Exposure Balcony and a fine Ocean View. 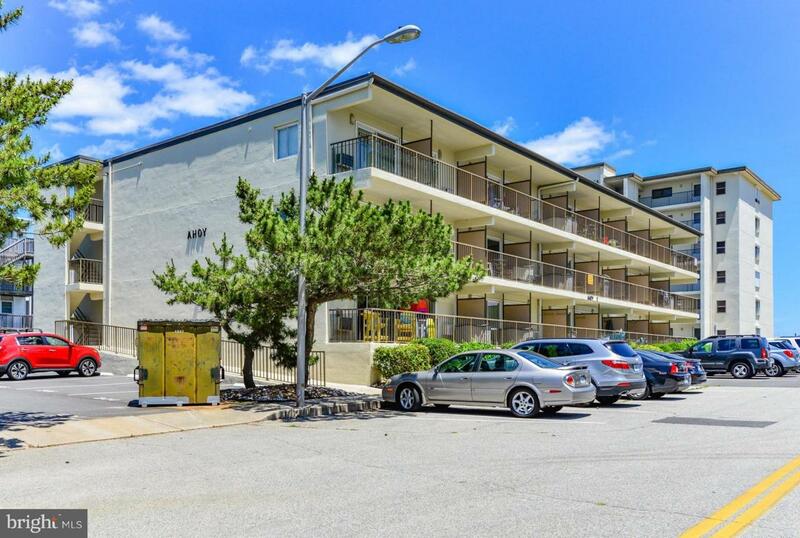 Just 100' to the sand, this is the 1st Ocean Block Building from the ocean front, at the corner of 137th and Wight Street, quick 9 blocks to Delaware. Popular North Island location convenient to lots of good eats, retail, recreation and fun. Updated roofing, parking lot. Previously updated exterior paint, windows, slider, entry door, recoated walkways, balconies and stair treads, Kitchen cabinets and appliances, tiled flooring. Intimate 27 condo Masonry Complex, self-managed with a $22,000+ Reserve Fund (no Special Assessments). Preferred full-sized washer and dryer and a sheltered common foyer to keep you out of the weather. Hearty Rental attractive to Investors: averages $10k-$11k gross, does both weekly and mini-week rentals, prime weekly rate @ $1,020+,with the potential to increase with Off-Season Winter Tenant. Low Condo Fee @ $167/month, Real Estate Taxes @ $187/month. Pre-Inspected plus 1-year enhanced Home Warranty. Parking lot on West side of Building, 1 numbered assigned space. Fulltime, Fun time, Investment, you will enjoy ownership in this quality Resort Condo. Note: address also known as #5, since adjusted by Town of Ocean City relative to placement of water meter.